Down Payment Assistance Programs are available through some amazing programs in California, Los Angeles County, Los Angeles City, Downey, Compton, Carson, & many other surrounding cities. These programs are designed to help individuals who are missing a down payment to purchase a Home or don’t want to wipe out their savings to buy a home. There are multiple programs that a person could qualify for down payment assistance. Down Payment Programs funded through government Grants and are administered through Licensed mortgage companies or Approved lenders under the program. Certain programs do not have location and income restrictions, its best to talk to us to make sure you have the best program for you. To find the right program you would qualify for, you do need to know: your credit score, the County your purchasing in, Max purchase price of the property. FHA loans are more forgiving to prior credit Issues than a Conventional Loan ( Fannie/Freddie Mortgages). Some programs offer both types of loans, although most of the time you will have a lower monthly payment with an FHA down payment assistance program. We will explain the program fully and show you how you can use the down payment program along with the right loan programs. All the Programs use a 30-year fix rate loan. First Time Buyers Can use these Programs Too! If you have not owned a home in the last 3 years, you are considered a first-time home buyer. First time home buyers are able to take advantage of down payment assistance programs. In fact, these grants are designed to assist people in purchasing a home that would not be able to buy. Down Payment is one of the largest factors that prohibit people from buying a home. Most banks do not have loan programs to accommodate clients without a down payment. We will explain the program fully and show you how you can use down payment program along with the right loan programs designed for first-time buyers. There are many down payment assistance programs available in all areas of California. The government provides these programs to increase the number of homeowners and create a stable housing market. Because of these programs, the rate of homeownership has increased throughout the state of California. How much of a down payment can I receive? The amount of the down payment assistance grant/gift can vary from county to county in Los Angeles. The range is between 3% to 5% of the purchase price of the home. Again Your County and Purchase price along with credit all play factors. The best part about grants/gifts is in most cases they do not have to be repaid. No cost to apply, but when down payment assistance funds run out, some programs end for the year. So apply early, It’s a No cost pre-approval program, so there are usually a large number of applicants. Big Banks Don’t offer this? My local bank did not have any of these programs available, Banks do not provide down payment assistance loan products because they are considered high risk. Banks consider it a high risk when a buyer has no financial investment in the home purchase (no skin in the game). Banks will always ask you for a down payment based on a percentage of the purchase price. That is why you have to use an approved lender of the program. Looking for a loan you don’t have to make a down payment? The programs and lenders that we work with DO NOT require that you make a down payment which allows these programs to make the down payment for you. Your down payment is covered through grants and gifts set aside by the local government. Hard to get the paperwork filled out? So that you get an answer quickly, we have you fill out 1 form it takes about 3 to 5 minutes and most people receive same day service. We work hard to get you approved and make sure that all the T’s are crossed and the I’s are dotted with all government paperwork. We will review your individual needs and recommend a program, especially for your situation. 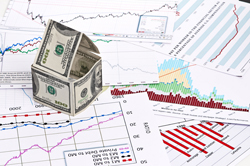 Down Payment Assistance programs depends on Funds being available. If you would like to know all of the criteria, please complete the form below for a No cost evaluation. Below are some of the more frequently asked questions regarding the Federal Assistance Down Payment Programs. If you have a specific need that doesn’t fit in the box below or you have additional questions, you will want to connect with one of our advisors at 562-881-9811. You have the option of submitting the online form and once it is completed, someone will reach out to you. This is not a hard money loan or private money loan. First time home buyers benefits are available. This is not limited to first time home buyers. Call us at 562-881-9811 to see which programs you can take advantage of! The City of Downey has teamed up with the housing non-profit organization Neighborhood Housing Services (NHS), to offer a $60,000 down payment assistance loan to qualifying families in the community. The program allows for two (2) $30,000 loans to be combined, a City loan and a matching loan from NHS, to provide the borrower with a total $60,000 loan at 3% simple interest. The City’s interest will begin to be forgiven after the 20th year at a 1/10th rate per year; at the 30th year, the City’s original loan amount and any interest will be forgiven in its totality. If the homebuyer sells, transfers/changes title, refinances and cashes-out, and/or no longer utilizes the property as their primary residence before the 30th year, the original City loan amount, plus applicable interest, will be due and payable. NHS’ principal loan amount and interest will be due and payable at the 30th year. The First Time Homebuyer Program (FTHB) will not be accepting applications at this time. In accordance to “New State and Federal Law Regulations”, the City of Compton is reviewing and modifying this program to conform with the new guidelines. The target date to have the new program guidelines completed is June 1, 2018. CalHFA offers a variety of loan programs to help you purchase a home in California. The CalHFA Conventional program is a first mortgage loan insured through private mortgage insurance on the conventional market. The interest rate on the CalHFA Conventional is fixed throughout the 30-year term. The CalPLUS Conventional program is a conventional first mortgage with a slightly higher fixed interest rate than our standard conventional program. This loan is fully amortized for a 30-year term and is combined with the CalHFA Zero Interest Program (ZIP) for closing costs. The CalHFA FHA program is an FHA-insured loan featuring a CalHFA fixed interest rate first mortgage. This loan is fully amortized for a 30-year term. The CalPLUS FHA program is an FHA-insured first mortgage with a slightly higher fixed interest rate than our standard FHA program. This loan is fully amortized for a 30-year term and is combined with the CalHFA Zero Interest Program (ZIP) for closing costs. The Cal-EEM + Grant program combines an FHA-insured Energy Efficient Mortgage first mortgage loan with an additional Cal-EEM Grant, making energy efficient improvements even easier. The interest rate on the Cal-EEM is fixed throughout the 30-year term. The CalHFA VA program is a VA-insured loan featuring a CalHFA fixed interest rate first mortgage. This loan is fully amortized for a 30-year term. The money you put “down” or the down payment on your home loan can be one of the largest hurdles for many first-time homebuyers. That’s why CalHFA offers several options for down payment and closing cost assistance. This type of assistance is often called a second or subordinate loan. CalHFA’s subordinate loans are “silent seconds”, meaning payments on this loan are deferred so you do not have to make a payment on this assistance until your home is sold, refinanced or paid in full. This helps to keep your monthly mortgage payment affordable. Offers a deferred-payment junior loan of an amount up to the lesser of three and half percent (3.5%) of the purchase price or appraised value to assist with down payment and/or closing costs. This program is for teachers, administrators, school district employees and staff members working for any California K-12 public school, which includes Charter schools and county/continuation schools. Applicants must also be first-time homebuyers. School Program junior loans are up to 4% of the purchase price, and can only be combined with an eligible CalHFA first mortgage loan. School Program subordinate loans can only be used for down payment assistance and/or closing costs. Review the sections below to find out more about the School Program. The Mortgage Credit Certificate offers qualified first-time homebuyers a 15% federal income tax credit. 1. The homebuyer receives a federal tax credit each year. 2. The homebuyer’s federal income taxes are reduced. 3. The homebuyer’s buying power is increased. 1. Must not have owned a home the previous three years. 2. Must meet income and purchase prices restrictions. This program offers qualified first-time homebuyers the opportunity to obtain a mortgage loan at decreased market rates. Qualifying 3 or more person households must have an income that does not exceed $119,560.